Learn all about empty property home insurance with our guide to covering your holiday home or second home abroad or in the UK. Holiday homes in Spain, second homes by the coast or unoccupied homes waiting for renovation are a real luxury, but like any property they need to be taken care of and covered by home insurance. Holiday home insurance, empty property insurance or unoccupied property insurance is also commonly referred to as unoccupied home insurance, unoccupied house insurance, or empty property insurance. This kind of insurance is vital, particularly as an unoccupied home is at far greater risk of damage from things like broken pipes and is a prime target for burglars and vandals. Holiday home insurance is also important to protect homes in other parts of the world where they may be more at risk from the elements than homes in the UK. Do you need holiday home contents insurance? Due to the specific problems facing holiday homes, getting specific holiday home insurance is the only way to ensure peace of mind. As holiday homes tend to be unoccupied for large periods of the year, and owing to the natural attraction of an unoccupied property to criminals, holiday home insurance will typically include both buildings and contents insurance. Holiday home contents insurance is not always included and you will be able to get a quote without it, but it is a risky move. Unoccupied homes may not contain traditional valuables like jewellery and electronics, but replacing everyday items can quickly add up. Most unoccupied property insurance policies will also include a public liability clause, although this is only really necessary if you are renting out your home. If you are renting your property as a holiday home, public liability ensures that anyone renting your home cannot take legal action in the event of an accident. The same applies to any employees who may work on your property while you are away – a gardener or pool cleaner for instance. Unoccupied house insurance policies provide an employers’ liability clause in the case of an accident. Some policies may also include cover for emergency travel for holiday homes abroad, ensuring you can get out to your property quickly should something happen. The best policies may also cover you for missed rent if you can’t let out your property because of a claim. Do you need buildings insurance for your holiday home? Buildings insurance is all about the physical structure of your holiday home, from the roof to the walls, and the kitchen to the fittings. In the event of damage to your home from flooding or a storm for instance, buildings insurance is what you will turn to. Crucially, buildings insurance for holiday homes or unoccupied properties is not based on the market value of your home, but rather the rebuild cost. So, for instance, if you have a holiday home in the countryside and a fire destroys your house, how much will it cost to get it back to its former glory? The only way you can get an accurate estimate of rebuilding cost is getting a chartered surveyor to do an assessment of your property, although you may already have an estimate from previous building reports. If you do get a quote with a rebuild cost it can also be worth checking whether your cost is index-linked so as to keep track with inflation. The best way to assess whether you need holiday homes contents insurance included in your unoccupied home insurance is to simply make a checklist of all your belongings. When you make your checklist make sure you include items outside your home and keep your checklist as an inventory in the event of renting out your holiday home. You should also be careful not to leave anything too valuable in the property to avoid paying extra for single items. An expensive plasma TV for instance might not be covered by the standard single item limit of your holiday home contents insurance policy. So in some cases, you may wish to consider taking gadget insurance on single items or extended warranty on domestic appliances. The length of time your property is left unattended can be crucial in finding the right cover. 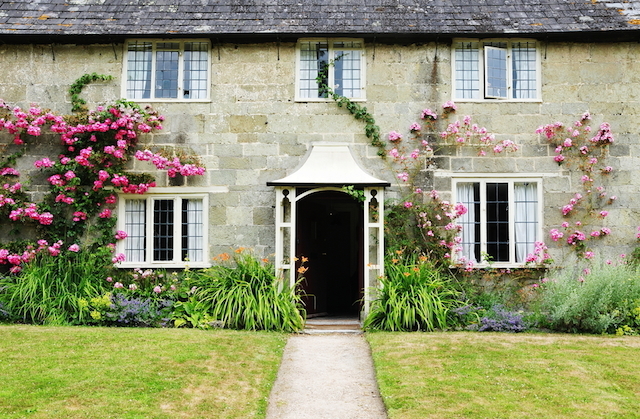 Traditional holiday home insurance policies often have a 30-day limit on leaving the property unattended, so you may need to look into unoccupied property insurance. Unoccupied property insurance waives this traditional 30-day limit but is otherwise very similar to holiday home insurance. Unoccupied house insurance is suitable for empty properties, including rentals that are currently without tenants. If your holiday home is overseas you should be aware of specific natural disaster limitations. Common exclusions include earthquakes and flooding, with certain insurers excluding this form of cover for some parts of the world. Holiday home insurance is also unlikely to cover sport or water equipment, including motor boats or surf boards that are located outside the home. You should also check whether any extras on your building, like solar panels or a wind turbine mounted on the roof for instance, are covered by the buildings insurance of your home. They are usually not covered for damage. Even if you follow all the rules it is still possible to invalidate your holiday homes insurance by not reading the small print. Having the wrong types of locks on doors or windows for instance could invalidate your cover, as could not keeping your insurer abreast of any fundamental changes to your property. Despite these slight differences holiday home insurance is similar to all other insurance products and certain rules apply. Shop around to find the cheapest quote and think about splitting your buildings and contents insurance, or at least comparing the costs. Another way to lower the cost is to raise the excess – the amount you will pay towards a claim.